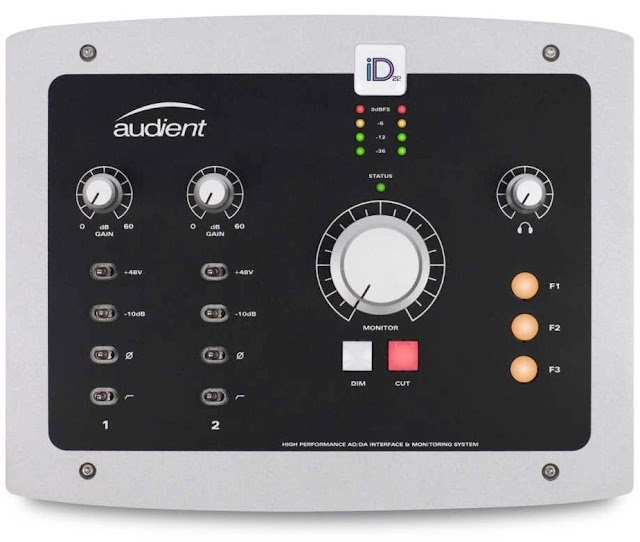 "iD22 provides two classic audient microphone preamplifiers, ALL NEW pristine AD/DA convertors that have been designed to deliver impeccable detail and impressive depth during both tracking & mixing. iD22 is expandable via ADAT i/o - perfect for partnering with an ASP008 for 10-ch recording [total 10-in, 12-out + headphones]. Our console-style monitor controller functionality and USB2.0 connectivity complete the ergonomic desktop package." 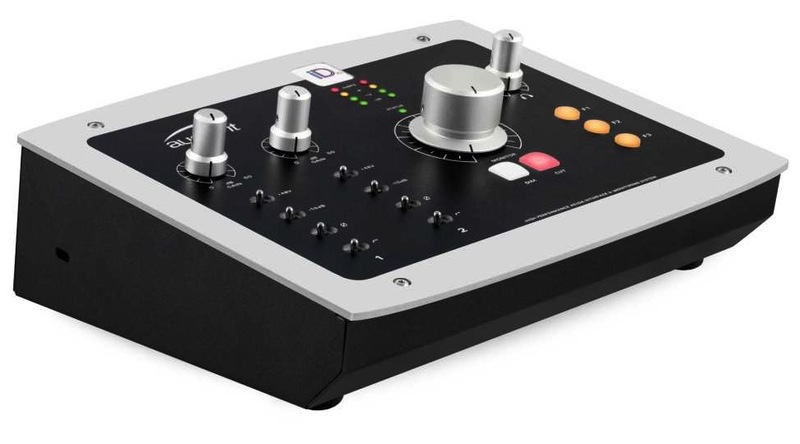 Not only does the iD22 provide 2 top notch mic pres and 6 AD/DA converters but it can also be used as a monitor controller with the ability to control 2 sets of speakers. Here's a video with Audient's Luke Baldry giving a quick overview of the iD22 features. and here's another video showcasing a song by the band Kielo in which the iD22 was used to do the recording session.